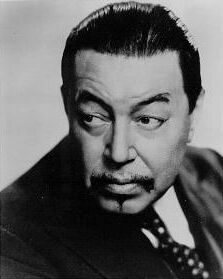 Warner Oland was not the first actor to portray Charlie Chan on the silver screen. The Oriental detective was originally played by George Kuwa in The House Without a Key (1925) and Kamiyama Sojin in The Chinese Parrot (1927), both silent Pathe serials, and later by E.L. Park in a Fox Pictures talking feature, Behind That Curtain, (1929). However, it was Warner Oland who first breathed life into the character whose exploits have now thrilled several generations. Oland was born Johan Verner Ölund on October 3, 1879 in rural village of Bjurholm, Sweden, which is located about 300 miles north of Stockholm. Just after his thirteenth birthday, on October 15, 1892, he emigrated to the United States with his parents, Jonas Ölund, a shopkeeper, and Maria Jojana Forsberg. Before going into film, Warner Oland enjoyed a good measure of success on the stage. In 1906, actress Alla Nazimova was impressed with his work and invited him to tour with her company. At one point, Oland's success on the stage had enabled him to amass a considerable wealth that was soon lost through less successful productions. It was during this early period that Warner Oland and his wife, artist Edith Shearn, co-translated a collection of the plays of Swedish playwright, August Strindberg. The book, which was published in 1912, marked the first time that Strindberg's work had been translated into English. In 1910, Oland made his motion picture debut, playing John Bunyan in Pilgrim's Progress. Returning to the stage, it was five years later that Oland resumed his film career in Theda Bara's Jewels of the Madonna. Throughout the remainder of Hollywood's silent era, Warner Oland, because of his vaguely Asian features, was often cast in Oriental roles, although he also played an occasional Caucasian "heavy." It was in 1931 that Charlie Chan was brought to life by Warner Oland with the Fox Pictures release of Charlie Chan Carries On. He went on to make a total of 16 Chan films over a period of seven years for Fox studios. Oland did not need to use makeup to appear Asian. He attributed his appearance to having a measure of Mongolian blood in his heritage, passed to him through his Russian mother. To prepare for the role of Charlie Chan, he would simply brush the ends of his moustache down and his eyebrows upward. It is said that Chinese often mistook him for one of their countrymen. Regarding his experiences on a trip to China, Warner Oland said, "Everywhere I went, the natives addressed me in Chinese. I was introduced always as Mr. Chan. I was accepted as a Chinese." Indeed, Oland took great delight in studying the Chinese language as well as the art and philosophy of that culture. Although Charlie Chan was portrayed onscreen as something of a teetotaler, in reality, Oland was quite the opposite. Indeed, it was thought by at least one director, H. Bruce "Lucky" Humberstone, that a drink or two actually helped Oland with his characterization. On at least one occasion, Oland brought his lunch to the set in a metal lunch box. Taking out one of two thermos bottles, he would say to Keye Luke, "For Number One son, good split pea soup..." Looking around to see if the coast was clear, he poured a martini from the second thermos, adding, "...For honorable father, tiger tea. "1 Eventually, exhaustion and his penchant for alcohol took their toll physically and mentally. Oland's wife, artist Edith Shearn Oland, had left him in August of 1937, a casualty of his decline. Six months later, on January 17, 1938, during the filming of Charlie Chan at the Ringside, Warner Oland walked off the set. He clearly needed to regain his life. Reportedly suffering from a nervous breakdown, Oland spent the month of February in a hospital. In March, the actor was back on his feet and he signed a contract with Twentieth Century-Fox to make three more Charlie Chan films. It was agreed that the actor would take a break and sail to Europe, and then begin shooting the next Charlie Chan movie, Charlie Chan in Honolulu, upon his return. He and Edith had even talked of getting back together. Unfortunately, none of this was to be, as the actor contracted a fatal case of bronchial pneumonia while he was in the city of Stockholm visiting the country of his birth. Upon receiving news of his grave condition, Oland's estranged wife quickly made plans to be with him as soon as possible. Sadly, death took Warner Oland before this could happen. On August 6, 1938, in a hospital in the Stockholm suburb of Tyresso, Warner Oland passed away. His cremated remains were laid to rest in a cemetery near his home in Southborouogh, Massachusetts. 1 Jon Tuska, The Detective in Hollywood.